The case of Dereci & Ors (European citizenship)  EUECJ C-256/11 (15 November 2011) concerned five families where third country nationals wished to join family members in Austria, all of whom were Austrian citizens but had never exercised free movement rights under European Union (EU) law. The main issue in the case was the extent to which the case of Ruiz Zambrano applied to their situations. Garden Court North Chambers’ Ian Macdonald QC provides commentary on the judgment. In essence, a long list of Member States, including the UK, submitted that the principles laid down in Ruiz Zambrano apply to very exceptional situations substantially different from those in Zambrano, claiming that none of the Union citizens in the current case were at risk of having to leave the territory of the EU and thus of being denied the genuine enjoyment of the substance of the rights conferred by virtue of their status as citizens of the Union. Similarly, according to the Commission, neither was there a barrier to the exercise of their free movement rights under EU law. 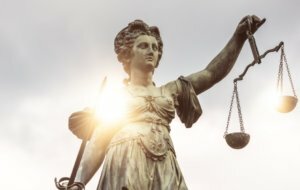 Mr D’s advocate argued that whether there is a cross-border situation or not is irrelevant and Article 20 TFEU should be interpreted as meaning that the question to be taken into consideration is whether the Union citizen is denied the genuine enjoyment of the substance of the rights conferred by virtue of his status. In its judgment the Court followed Zambrano and McCarthy in holding that the Citizen’s Directive did not apply. Nor did Directive 2003/86, which deals with the conditions for the exercise of the right to family reunification by third country nationals residing lawfully in the territory of the Member States, because it is an express provision of that Directivethat it does not apply to members of the family of a Union citizen (Art 3(3)). The court then moved on to Article 20 TFEU. They reminded themselves that the Treaty rules governing freedom of movement for persons and the measures adopted to implement them cannot be applied to situations which have no factor linking them with any of the situations governed by European Union law and which are confined in all relevant respects within a single Member State (para 60). However, they stated, as the Court had in McCarthy, that absence of cross border movement did not, of itself, mean that the situation of EU citizens had to be assimilated to a purely internal situation (para 61). As nationals of a Member State, family members of the applicants in the main proceedings enjoy the status of Union citizens under Article 20(1) TFEU and may therefore rely on the rights pertaining to that status, including against their Member State of origin (see McCarthy, para 48) (para 63). 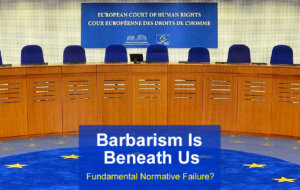 The Court then gets to the nub of the question – the right of EU citizens under Art 20 TFEU to the genuine enjoyment of the substance of the rights conferred by virtue of that status and the fact that in Ruiz Zambrano (para 42) the Court has held that Article 20 precludes national measures which have the effect of depriving Union citizens of that right (para 64). This all happens outside the Citizens’ Directive (see para 67) and irrespective of whether the EU citizens have exercised any cross border rights of free movement. There then follow passages in the judgment (paras 65 to 69) in which the Court seeks to do two things: (i) to identify the criterion or criteria by which to judge whether there has been or would be a breach of the right to the genuine enjoyment of the substance of the rights conferred by virtue of EU citizenship; and (ii) in formulating the criteria to limit the ambit of this important citizen right. However, this criterion is specific in character because it is outside the ambit of subordinate legislation (eg, the Citizen’s Directive) and only applies exceptionally (para 67). It may seem desirable to a Union citizen to keep his or her family together but that is not sufficient in itself to support the view that the Union citizen will be forced to leave Union territory if such a right is not granted (para 68). The court then admits that there may be other criteria on the basis of which the right to residence cannot be refused and that the Courtâs finding with regard to the Zambrano criterion is without prejudice to the question whether, on the basis of other criteria a right of residence cannot be refused. None of these other possible criteria, however, are identified, except, inter alia, the protection of family life. It should be recalled that under Article 6.3 TEU, fundamental rights, as guaranteed by the ECHR and as they result from the constitutional traditions common to the Member States shall constitute general principles of the Union’s law. These general principles cannot be switched on and off like a light switch to suit the particular case. In determining the ambit and competence of EU law, you can pick and choose which general principles are to be or not to be. All are an integral part of EU law. 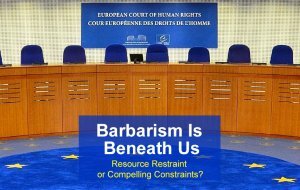 Indeed the human rights criteria briefly referred to in para 69 of the Dereci judgment and spelt out with dazzling clarity in Article 6.3 TEU are as much part and parcel of EU law as the immigration free movement rights which underly the criterion identified by the Dereci court in its analysis of Zambrano. Ian Macdonald QC is a barrister at Garden Court North Chambers.